Before adding the HEIC images to Joyoshare HEIC Converter, make sure you've already synced those photos from your iPhone/iPad/iPod to PC via USB cable. 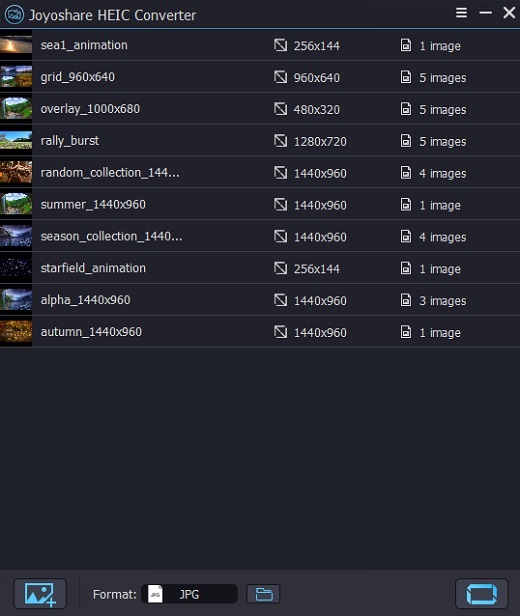 Once the HEIC photos are loaded onto your computer, launch Joyoshare HEIC to JPG Converter. You got two methods to add the HEICs for conversion. You can either click "+" button at the bottom left corner or drag the HEIC photos to Joyoshare. It supports converting single HEIC photo as well as multiple photos in batch. 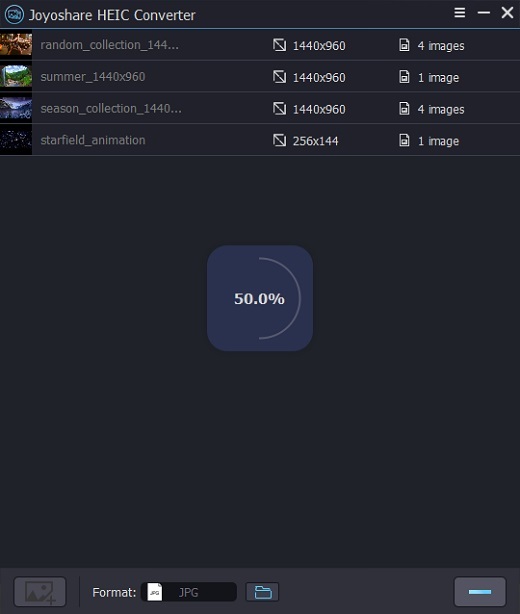 So you can add as many HEIC images as you want to convert once. When the HEIC photos are added into Joyoshare, you'll find they are listed in the conversion window as below. Click the Format panel to set output format and photo quality. 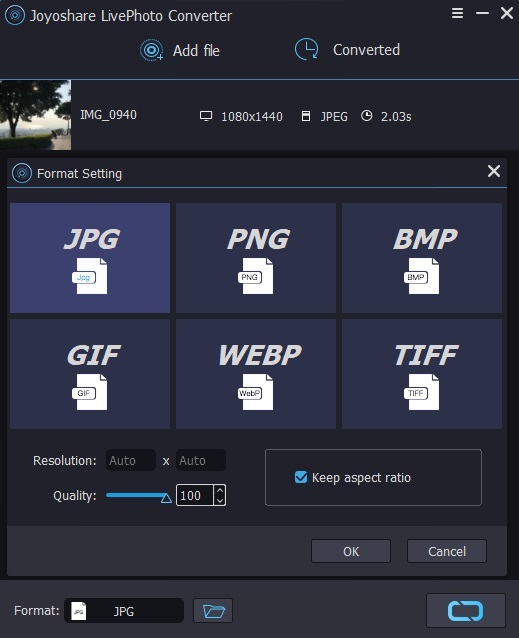 It fully supports JPEG, PNG, GIF, TIFF, BMP, WEBP. Choose any one you like and move forward. There you can also customize the photo resolution, quality, aspect ratio, EXIF info, etc. Click OK to save the settings. 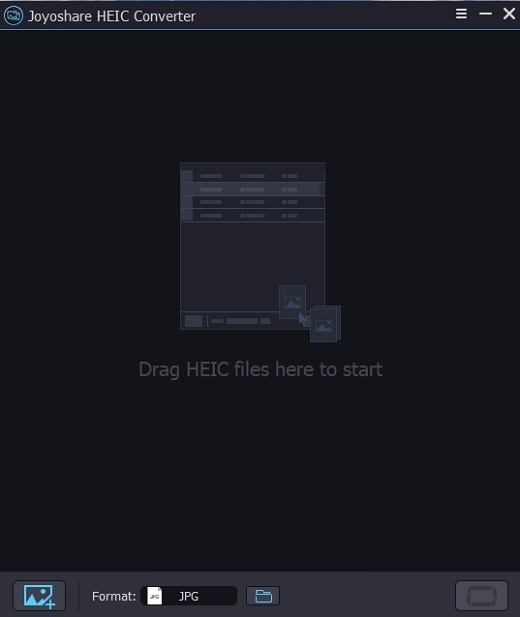 Now click Convert button at the bottom right corner to start the HEIC to JPEG, PNG conversion process. When the HEIC photos are converted to JPG or other formats, you'll be prompted with the folder containing the converted photos. Or you can click "history folder" icon to view those JPG photos. You can also follow this video tutorial on how to use Joyoshare HEIC Converter for Windows to convert HEIC to JPG, PNG, GIF, BMP, etc. with a few clicks only. Best iOS solution to recover any lost data on iPhone due to accidental deletion, system crash, virus attack, broken device, etc.